After a movement-focused 2017 which saw Zenith launch the Defy El Primero 21 and the headline-grabbing Defy Lab with its new high frequency oscillator which found its way into a special ten piece limited edition, Baselworld 2018 has seen the addition of a new entry level model to the Defy family called the Defy Classic, as well as the Zero-G. In today’s post, we will introduce the first of these. The new Defy Classic is exactly what it says on the packet, as they say; a ‘classic’ watch with time and date functions. Coming in a brushed titanium 41mm-sized case, it will be available in two iterations, one with a skeletonised dial and the most classic of the Classics, one with a sunburst blue dial. Both models have applied hour markers that are rhodium-plated, faceted, and coated with Super-LumiNova. The hour and minute hands are also lumed. Inside both models is the in-house Calibre Elite 670 SK, modified with a silicon pallet lever and escape wheel, and with satin-brushed finishing to its rotor. It beats at 28,800VPH and has a fifty hour power reserve. 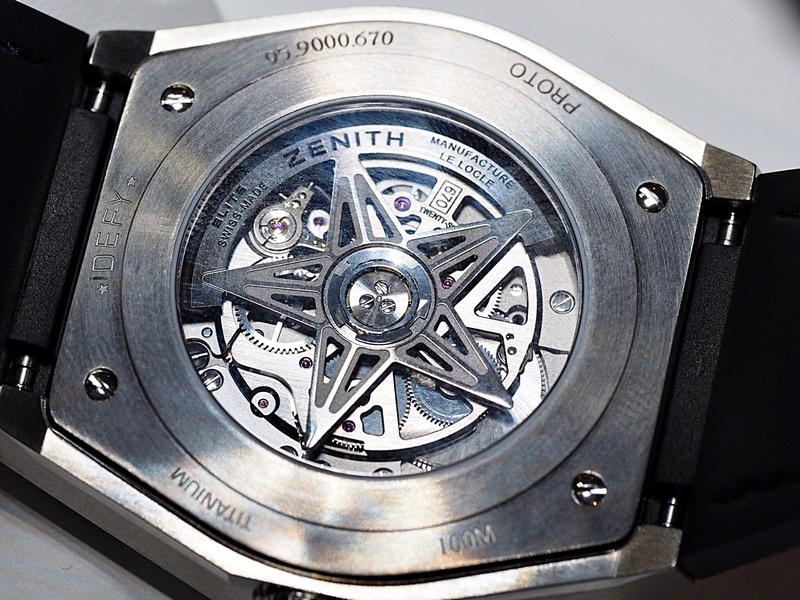 From the front, the movement of the skeletonised model shows some attractive contrast, with parts that have been treated to a darker colour to show a highly stylised star. Its open-worked dial is circled by a blue minute ring and large applied hour markers coated with Super-LumiNova. The date is now at 6 o’clock, in the form of a cut-out date disc. Both models have a water resistance of 100m and come with the choice of an integrated metal bracelet, rubber strap coated with alligator leather, or a rubber strap. Intended to be an everyday sports watch that that places some value on its movement, of the two versions my personal pick is the skeletonised one. The blue sunburst dial is very ‘now’, fitting in with the current popularity of blue-dialled sports watches, but the skeleton model is not just more distinctive but to my mind, also more attractive, with its modern angular line approach to skeletonising movements. It is also clearly a design relative of the Defy Lab (see below), but available to the general market rather than those ten special owners of the Lab. 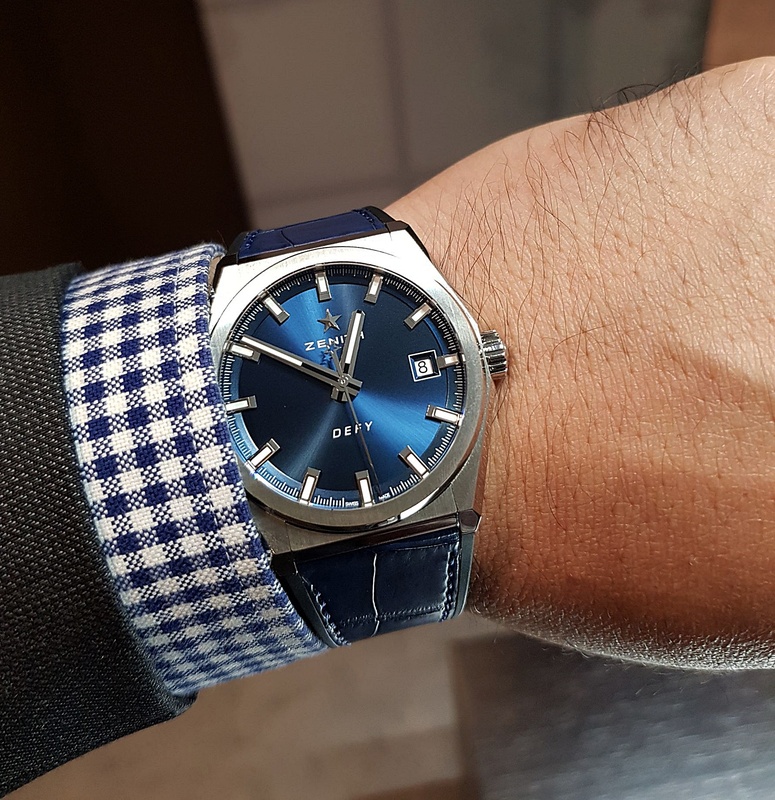 The Australian RRP for the blue dial model is $8,200 on a strap and $9,600 on a bracelet. 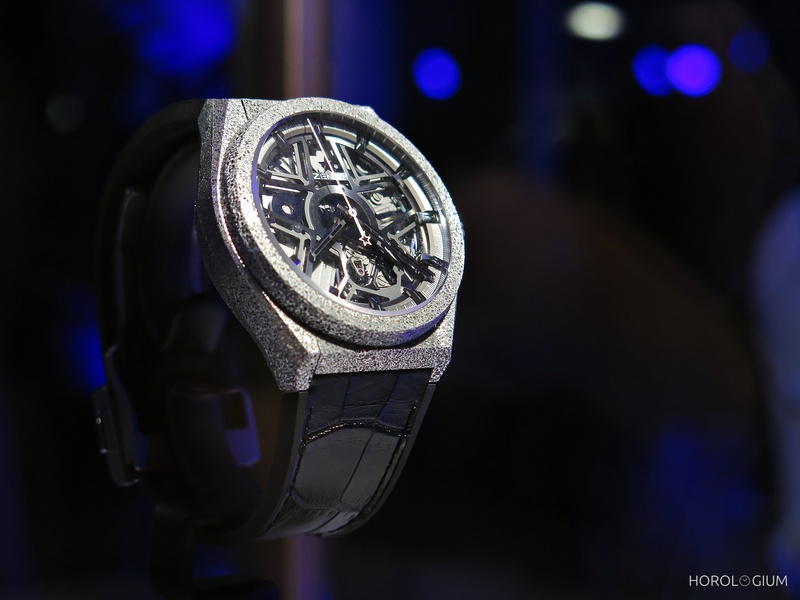 The skeletonised model is $9,100 on a strap and $10,500 on a bracelet. They will be available from July 2018. 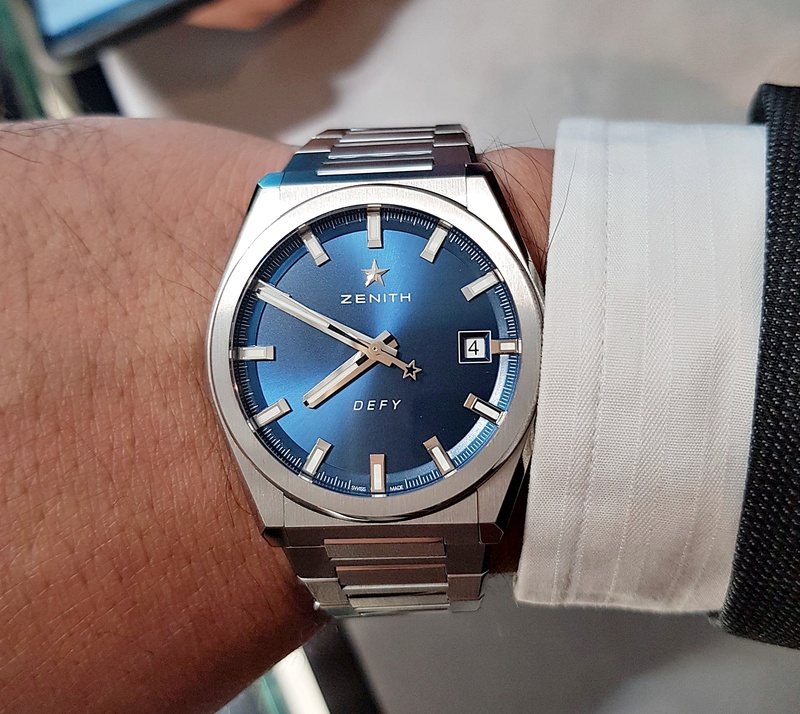 I like Zenith, always a class act with their watch designs. I remember when the original Defy came out and rather quickly there was a replica made by the IWG that they claimed was an original design. One of my forum members has several Zenith watches. I had a chance to try it on a while back. Great fit and well made. It’s interesting that such an old brand with an important (esp movement wise) history is somehow still relatively below the radar now, compared to large brands.